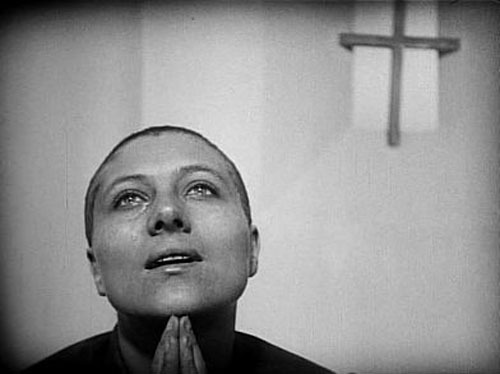 We’re coming to the end of the silent era, and we cap it off with one of the most tantalizing and intriguing essays we’ve come across so far, about a film that both Ryan and I have seen – Carl Theodor Dreyer’s The Passion of Jeanne d’Arc. Sometimes critics declare films to be masterpieces, and time doesn’t bear them out, or they dismiss films that are later revived as classics. Here we have a fascinating case of a critic (Hilda Doolittle, who was primarily a poet who published under her initials H.D.) who declares Jeanne d’Arc to be a masterpiece, and yet her review is an encapsulation of the emotional turmoil the film put her through, and her simultaneous appreciation of and resistance to the film. Her poetic side comes through in her turns of phrase throughout, but also in her sensibility – she values her troubled subjective experience of the film over a firm judgement of its objective quality. Ryan confessed during our conversation that he read the piece twice; I think I’ve read it four or five times now, partially to refamiliarize myself with it while writing, but also because I find it simply the most amazing thing we’ve read in the anthology so far. I would write criticism like this if I had the talent. As it is, I’m eternally grateful to Phillip Lopate for including it in this anthology so I knew to read it. When we discussed Carl Sandburg, you mentioned the way enthusiasm shone through in his writing. So today we have another poet, and again we’re met with another burst of enthusiasm. Do you think there’s something to be said about artists commenting and critiquing on other art forms? 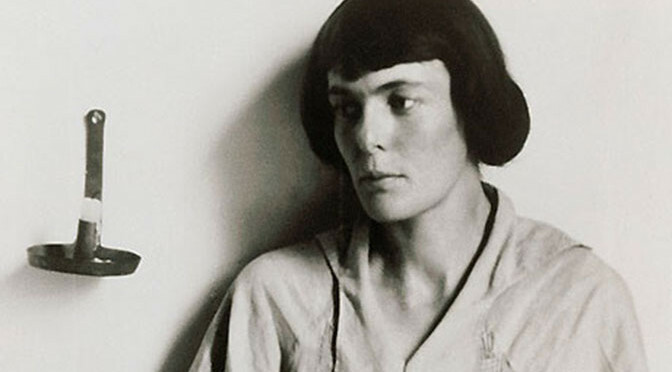 I don’t imagine it would always be as effusive as what Sandburg wrote before or what Hilda Doolittle writes here…but is there perhaps a creative spark that an artist latches on to that a journalist – or even an appreciator of the medium – wouldn’t? There’s definitely something more expressionistic about both Sandburg’s and H.D.’s pieces in the anthology. I don’t think this piece on The Passion of Jeanne d’Arc is strictly speaking a review in the same sense of the weekly consumer reviews that Sandburg was writing, but they both have a commitment to the subjective, to the experiential, and to a certain turn of phrase that set them apart from many of their more prosaic contemporaries. Now to be fair, Doolittle was being affected by what remains a benchmark in the medium…so we can hardly question how deeply she was affected. However, what caught me about this opening statement is how boldly it comes out swinging in the affirmative. It’s rare that this happens – why is that? Four months at a whack here, but really, I haven’t been watching all that much, thanks to sleeping almost all of the time and lacking the attention span for more than 30-minute TV shows when I AM awake (see why here). Interestingly, all of my “loved” films this time around are 2012 films. That’s strange and weird to me, especially since I watched a few “unassailable” classics, but I’m being honest about how I felt about them at the time I watched them. Also, there’s a preponderance of new releases anyway since going to the theatre tends to keep me awake and engaged a bit more right now than watching films at home, so I’ve watched fewer films at home than usual. I’d heard everything from “mind-blowing masterpiece” to “vapid, messy drivel” about this film coming out of TIFF, so I had no idea what to expect when I went into it. As you may have guessed, I’m far closer to the “mind-blowing masterpiece” side of the scale; in fact, as of right now, it’s sitting atop my Top 2012 Films list. I read the book a couple of months ago in preparation, and I’m sure that affected how I received the film – I didn’t actually love the book, largely because I felt like it was more of an exercise in pastiche, more interested in proving David Mitchell’s chops at imitating different styles of writing and less interested in actually making meaningful connections between the different stories. 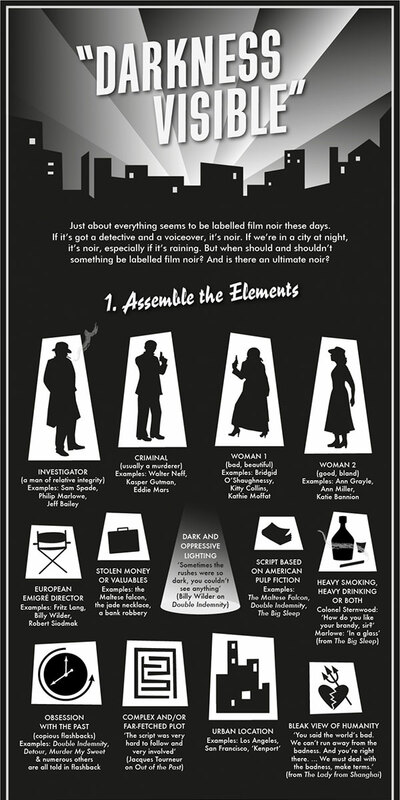 The movie still has the different styles, but less pronounced (because it’s difficult to get such things as “19th century journal” and “epistolary novel” to translate to film stylistically), and the stories are all intercut with each other, a brilliant way to strengthen and highlight the thematic tissue connecting the stories. 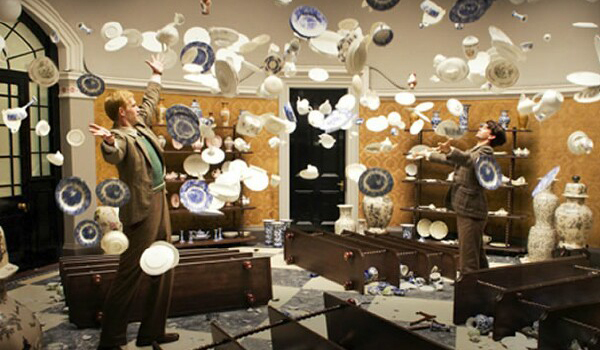 Putting the music of the Cloud Atlas Sextet front and center lends the film a symphonic quality heightened by the editing to create something that as a whole is greater than the sum of its parts, which is exactly what I was missing from the book. It’s rare to say, even for a non-book-purist like me, but in this case, the movie is easily better than the book – quite a statement especially for a book that many people have long considered unfilmable. Well done. 2012 USA. Directors: Andy & Lana Wachowski & Tom Tykwer. Starring: Tom Hanks, Halle Berry, Jim Broadbent, Hugo Weaving, Doona Bae, Jim Sturgess, Ben Whishaw, Keith David, James D’Arcy, Hugh Grant, Susan Sarandon. Seen October 27 at AMC Burbank 16. I came into The Master with some trepidation, since I’m just about the only person on earth who really disliked There Will Be Blood, and I wasn’t sure if PT Anderson could get back on my good side or not. Thankfully, he did, and while I would say I only “really liked” The Master when first leaving the theatre, thinking back on it and talking about it has raised it my estimation a LOT. I might still like Magnolia (see below) a bit better of PTA’s films, but it’s close, and so far The Master is probably the best movie of the year for me. The interplay between Phoenix and Hoffman is incredible – two actors at the top of their game, playing off their very different styles (and very different characters) against each other. Amy Adams holds her own as well, which I didn’t expect. And the jittery camerawork/focus underscores the story – really, the character study – perfectly. Images, lines, contrasts, outbursts, quiet moments – they’ve all come flooding back to me without warning over the weeks since I saw the movie, and that’s what I call a sign of a great film. Great enough I might be willing to give TWBB another chance. We’ll see. 2012 USA. 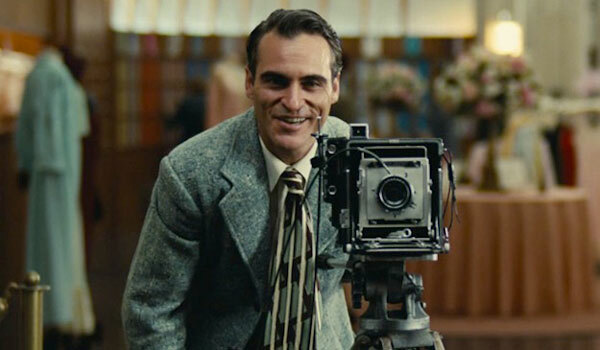 Director: Paul Thomas Anderson. Starring: Joaquin Phoenix, Philip Seymour Hoffman, Amy Adams. Seen September 15 at Arclight Hollywood. With Argo, Ben Affleck cements his career as a director even further, proving that while many of us have lost faith with him as an actor, when he’s behind the camera, he can do little wrong. This time he’s in front of the camera as well, which worried me a little (I didn’t see The Town, which also had him as actor-director), but he comes through in both roles. Taking a side story from the Iran Hostage Crisis of six Americans who managed to escape the embassy and hide out in the Canadian ambassador’s house, Affleck plays an extraction expert whose crazy plan to get them out involves a fake movie for which they will be the fake scouting crew in Tehran. 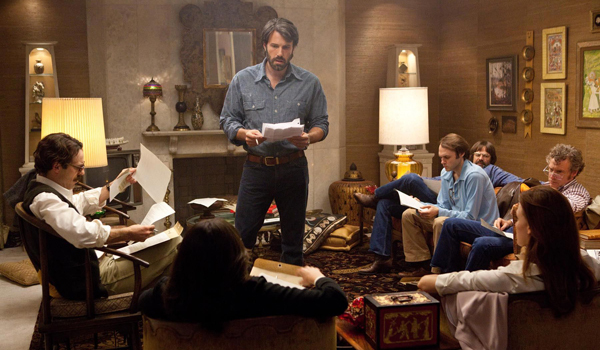 The film’s seemingly unwieldy combination of real-life political thriller (which is highly tense and dramatic) and Hollywood show biz story (which has a good deal of comedy) comes together perfectly, while Affleck and Co’s eye for period ’70s detail puts him right up there with Soderbergh. An old-fashioned thrill ride with a great cast. 2012 USA. Director: Ben Affleck. Starring: Ben Affleck, Bryan Cranston, John Goodman, Alan Arkin, Victor Garber, Tate Donovan, Clea Duvall, Scoot McNairy. Seen October 13 at AMC Burbank 16. This has been my most-anticipated film ever since I first heard about it more than a year ago, thanks to my abiding love for Rian Johnson films (I loved Brick more than The Brothers Bloom, but they’re both really good), Joseph Gordon-Levitt, and time travel. I successfully avoided almost all the marketing for it, so I went in pretty cold, and I’m glad I did. The story is more about Gordon-Levitt’s character development (thanks to the incursion of his future self in the form of Bruce Willis) than time travel itself – in fact, Johnson actually wisely refrains from getting into the nitty-gritty of the time travel, which keeps the focus squarely on the characters, and I liked that. There are a few plot holes if you analyze the time travel too deeply, but I don’t think they ultimately matter in terms of the character-focused story, and the combination of character drama and action flick with just a touch of sci-fi works really well. 2012 USA. Director: Rian Johnson. 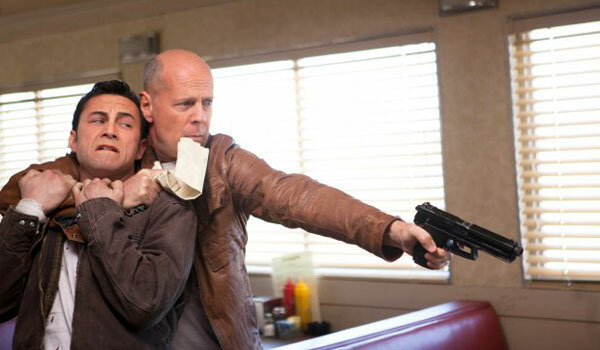 Starring: Joseph Gordon-Levitt, Bruce Willis, Emily Blunt, Jeff Daniels, Paul Dano, Piper Perabo. Seen September 29 at AMC Burbank. 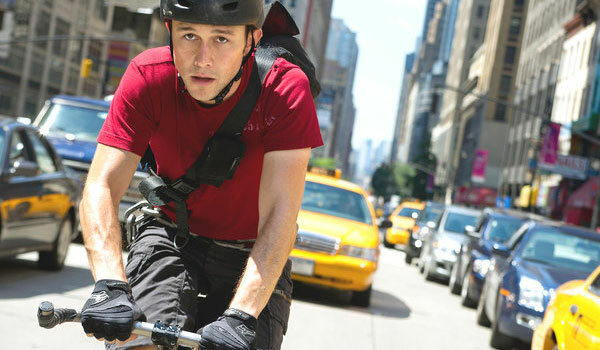 Bike messenger Joseph Gordon-Levitt rides his bike around NYC at breakneck speeds, trying to deliver a life-or-death package, avoid the dirty cop trying to catch him, the real bicycle cop he pissed off, and fight a rival bike messenger for the affections of his girlfriend. And it’s pretty much non-stop adrenaline from start to finish. That’s about all you need to know. This is an old-fashioned B-level genre movie, and it hits every note right. Sure, it’s got nothing deep going on, but it doesn’t try to be any more than it is and for 85 minutes of pure fun, this kind of thing is hard to beat for me. And Michael Shannon is awesome in this kind of no-holds-barred role (he’s always awesome, but he’s all kinds of fun when he really lets loose). 2012 USA. Director: David Koepp. Starring: Joseph Gordon-Levitt, Michael Shannon, Dania Ramirez, Sean Kennedy. Seen August 8 at AMC Burbank. The Passion of Joan of Arc, playing late Sunday/early Monday on TCM. Check out a little Marx Brothers marathon on TCM Monday night, from early work like Monkey Business at 8pm to the best of the best starting with Duck Soup at 10:45pm. 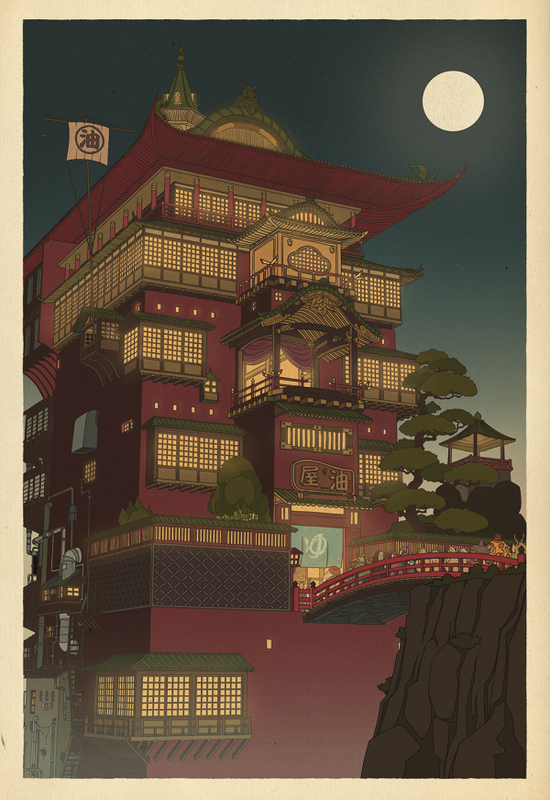 And the last night of the Kurosawa celebration hits on Tuesday, with some of his later work. A few newly featured ones on TCM, but other than Dreyer’s silent The Passion of Joan of Arc next Sunday, which I’m actually looking forward to seeing for the first time, I’ll let you find those below on your own. Beyond that, there’s numerous worthwhile repeats (including some contemporary greats like Before Sunrise and The Station Agent on IFC) to make sure you haven’t missed on all channels. Leo McCarey directs the Marx Brothers in what many think is their best and zaniest film. This is the one with Groucho becoming the dictator of Freedonia and declaring war on nearby Sylvania. Frequent Marx Brothers foil Margaret Dumont is on board as the wealthy woman who causes the rivalry that leads to the war. Personally, I prefer A Night at the Opera to Duck Soup, but this may be your best bet if the idea of musical interludes from Allan Jones (of which Opera has several) turns you off. 1933 USA. Director: Leo McCarey. Starring: The Marx Brothers, Margaret Dumont, Louis Calhern, Leonid Kinskey. One of the best of the Marx Brothers’ zany comedies finds them running awry through the world of opera. This is the one that contains the famous “how much stuff can we stuff into a stateroom” scene. And a subplot with Allan Jones and Kitty Carlisle, but that’s best ignored as much as possible. 1935 USA. Director: Sam Wood. Starring: The Marx Brothers, Allan Jones, Kitty Carlisle, Margaret Dumont. TCM is rounding out its month celebrating Akira Kurosawa with three of his later films – all three of which Row Three contributors reviewed as part of the Row Three Kurosawa celebration. So check out the films and check out our reviews, if you haven’t already. You want some pre-Code action? We got your pre-Code action right here! Clark Gable and Jean Harlow made several films together, and Red Dust is one of the most entertaining, in no small part because its story of a love triangle on a South Seas rubber plantation gives them plenty of opportunity to push the sensuality envelope. It was remade as Mogambo in 1953 with Gable and Ava Gardner, but that version isn’t nearly as, um, interesting as this one. 1932 USA. Director: Victor Fleming. Starring: Clark Gable, Jean Harlow, Gene Raymond, Mary Astor, Donald Crisp. This is a perfect film. If you have not seen it, see it. If you have seen it, see it again. In either case, rather than write again how much I love it, I will just refer you here. 1967 USA. Director: Arthur Penn. Starring: Warren Beatty, Faye Dunaway, Gene Hackman, Estelle Parsons. Fred Astaire actually retired in 1946, and managed to stay off the screen for two years – until Gene Kelly broke his leg playing football and Fred was asked to take over his role in Easter Parade. Of course, then Fred kept making movies nearly every year for another 15 or 20 years. Easter Parade remains an enjoyable entry into his and Judy Garland’s respective filmographies, due to solid Irving Berlin tunes and the winning combination of Astaire’s dancing and Garland’s singing (and comedic abilities). Oh, this was also tap star Ann Miller’s first of many MGM films. 1948 USA. Director: Charles Walters. Starring: Fred Astaire, Judy Garland, Peter Lawford, Ann Miller. It pains me to reveal this. 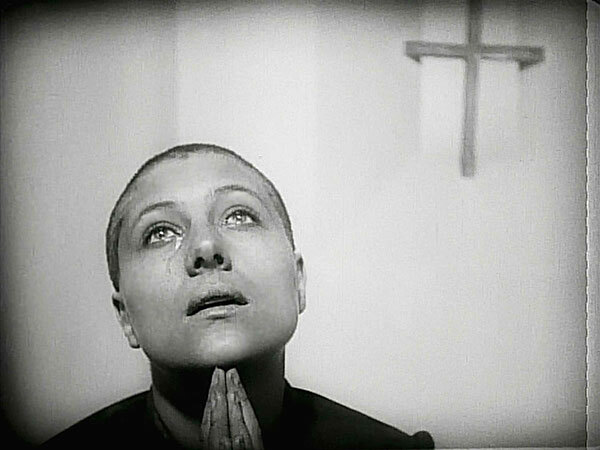 I have not yet seen Dreyer’s classic silent version of Joan of Arc with Maria Falconetti’s legendary performance as Joan. The time will come. I believe pretty much every other Row Three-er has seen it, so they can talk it up in the comments should they so desire. From everything I’ve heard, it’s not to be missed given the opportunity to see it, and here is the opportunity. 1928 Denmark. Director: Carl Theodor Dreyer. Starring: Maria Falconetti, Eugene Silvain, André Berley.